If you’re having a bit of trouble focusing your tongue trills (I know trills can be a bit of twister at times), there is something very subtle and easy you can do to tweak that… by adding a little timbre to your notes as you practice with the trills. 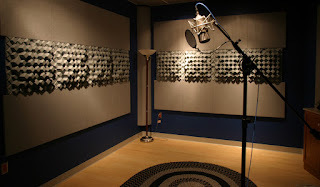 The thing is, if your trills aren’t focused enough when you’re doing your vocal training, it will affect your progress. This article will explore a little-known technique that is quite phenomenal in every sense of the word. So let’s take a closer look. First you have the standard tongue trills that may sound all too familiar now, but what is probably missing is that little extra timbre that makes all the difference and helps focus your voice when doing the trills even more. Here’s the simple analogy, to begin with. When you are doing the trills (RRR) your tongue is lightly placed at the roof of your mouth in order to produce that sound. However, how refined that focus is will vary from person to person. That being said, there is a way to rapidly improve your focus. And here’s how. When doing your vocal training exercises, begin your trill with an N, which means your tongue is placed at the roof of the mouth, but swiftly add a D to it so that you are producing an NND (notice how you extend that N just a little); and then you add your RRRs to this equation and you’ll notice how much more ‘focus’ your tongue trills will suddenly project with NNDRRR. I’ve witnessed many pupils go through the bender with the tongue trills, but this little quick-fix trick should take care of the problem. For more information on how to do the tongue trills with better focus, take a look at some of my pupils in my latest video clips on my YouTube channel. Click here! Kama umepitwa na nakala zangu zilizopita, au umeshasoma nakala zilizopita na ungependa kua na ukurasa mmoja tu kupata maelekezo na link ZOTE kuhusu swala la kuimba, basi fanya ku-bookmark blog post hii. Itakusaidia endapo utakwama kwa lolote. Kwanza kabisa, soma Jifunze Kuimba: Umuhimu wa Kuelewa Madhumuni Ya Mazoezi na vile vile Jifunze Kuimba: Tatizo La Pumzi na Jinsi Ya Kulitatua, itakupa ufafanuzi zaidi kuhusu umuhimu wa zoezi hili la pumzi katika uimbaji. Hauna haja ya kuishiwa na pumzi tena. 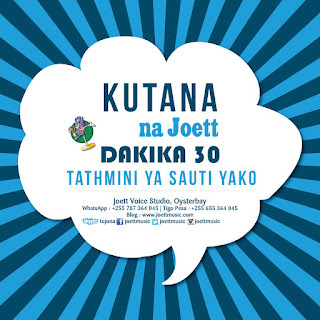 Nakala yangu Jifunze Kuimba na Joett Mkito.com Vol. 1: Madhumuni ya Lip Rolls inakupa ufafanuzi wa kina kuhusu umuhimu wa zoezi la lip rolls katika mafunzo ya kuimba. 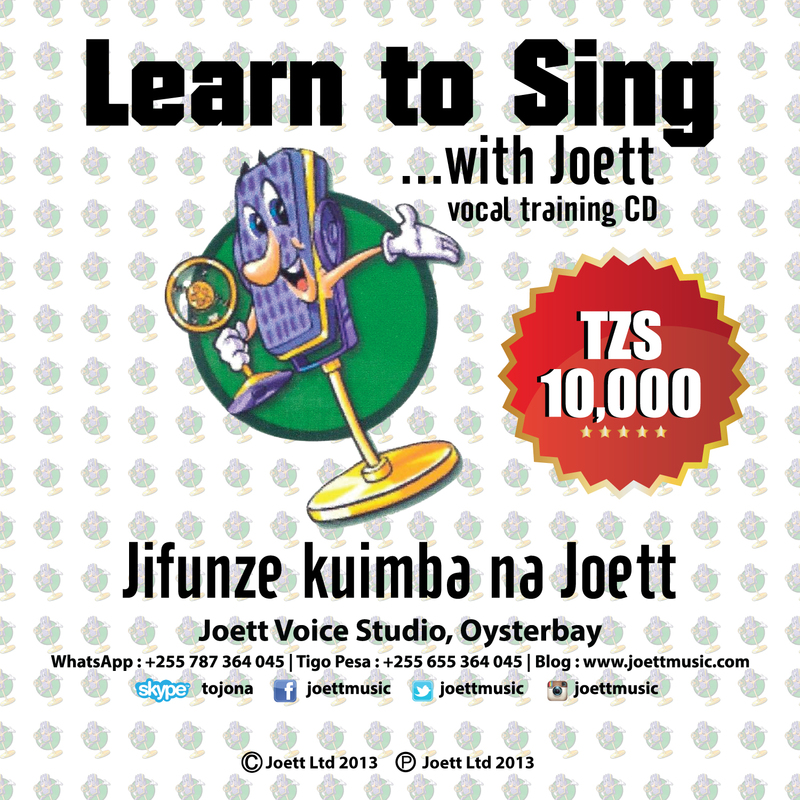 Niliachia mafunzo ya sauti Mkito, yajulikanayo kama Joett Vocal Drills Vol. 1 - 7. Kama bado hauja pakua, basi bofya hapa! Kupata LYRICS kwa ajili ya Vol. 5, 6 & 7 bofya hapa! Ukishafanya hivyo, hakikisha unasoma maelekezo Volume 1, 2 & 3 Jifunze Kuimba na Joett Mkito.com ili upate muongozo zaidi. Alafu mwisho kabisa, soma nakala yangu isemayo: Je, Binadamu Anaimbia Tumboni? Jua Ule Ukweli Wenyewe Halisi. Je, Nini Kifanyike Kutunza Sauti Yako? Sauti inataka matunzo. Na jinsi rahisi sana kuhifadhi sauti yako ili ifanye kazi vizuri na idumu kwa muda mrefu ni kama ifuatavyo. Mazoezi ya sauti mara kwa mara kama nilivoelekeza humu. Usinywe vinywaji baridi sana au barafu. Chunga sana kwenye swala la pombe, aidha usitumie kabisa au tumia kidogo sana. Usiwe na tabia ya kukohowa kwa kasi ili kuondoa kitu kooni. Nadhani mnanielewa. Hii tabia hukwangua koo. Vitamin C 1000mg wakati unahisi mafua au sauti imechoka. Yeyusha tembe moja kila siku ndani ya glasi ya maji unywe. Zinapatikana pharmacy. Kunywa maji mara kwa mara, yanasaidia kulainisha koo. Mwili wa binaadamu asilimia kubwa ni maji. Hizi mbili za mwisho zina gharama kidogo, kwahivyo angalia tu uwezo wako. Zinapatikana kwangu studio kama utahitaji kununua. Ku-download mazoezi yangu yote moja kwa moja kutoka Mkito, bofya hapa! Like Facebook Fan Page yangu hapa! Kwa madarasa ya studio bofya hapa! If you’re not shaping your vowels correctly when you sing, you are losing an incredible amount of power with every note. More than you can imagine. We can get away with hardly opening the mouth nor articulating the vowels when we speak, but when we sing we have to exaggerate in order to project the same words. This article will offer tips on how to correctly shape your vowels with every single word that you sing. So let’s begin. Whilst in session with a pupil just yesterday, I made her sing Amazing Grace. However, something was obviously missing and I quickly pointed that out: my pupil’s voice was sounding great—she’d come a long way in just a few hours of training—but her mouth was hardly opening. And so I reiterated on the importance of exaggerating the vowels and how it will help project a bigger and more refined note with every word. And so I stopped the session and went back to the piano to simply run some scales with the vowels AEIOU. After a short run, I immediately took my pupil back to the song Amazing Grace, and as if by magic, her mouth was now fully open and articulating each word very clearly. She was sounding miles better already, just by that one quick move back to the scales on the vowels it’s as if the mouth had automatically let loose. But here’s the thing. When you pay attention to yourself and you completely tune in to your own sound production, you will quickly notice your shortcomings and your journey into discovering yourself will begin in earnest. In this particular case, my pupil was probably unaware of her shortcoming, but when I pointed that out to her and had her do some simple scales on the vowels to fix it, she was able to relax and to allow the art of shaping each note on the vowel correctly take shape, naturally. And so the next time you sense you’re losing your notes to the wind, try to pay a little more attention to shaping your vowels. 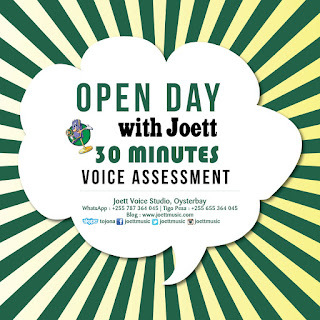 If you’ve been voice training for any length of time, you’ll know that sometimes you’ll get to a point where you don’t quite feel up to scratch. And it could be for any number of reasons, however, in this article I want to discuss the interference of gravitational pull in sound production—and thereby your speech level posture going wonky when you sing, and how to quickly get around that by opening up your head voice first. The last thing you want is hindered connectivity between your chest and head voice. The reason we train is because we really want to free that voice so that our tone is evenly connected all the way up and down. Now, when gravitational pull gets in the way of you making that connection, then there is a quick-fix trick you can use to get around that little bottleneck in only a couple of minutes. Leaning forward slightly to help you connect to your head voice as you do the scales is one handy tip I’ve dished out in previous articles, but today I want to push the envelope just a tad. Standing upright on both feet, begin by bending forward at the waist to eventually have the top of your head facing the floor and your arms loosely hanging towards the floor. Once in this position, begin humming (like a siren) in circles inside your head. Make any sense? I’ll explain. Your goal is to have your voice moving around in circles inside your head with a simple hum, ensuring that you continue to breathe before each run. Mind you, do not do this exercise to piano scales. You don’t need them. Once you’ve worked your head for about 3 minutes, return to an upright position... standing with your back straight. 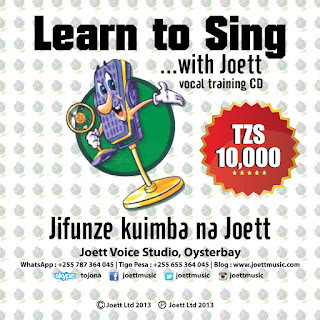 If you had a song you wanted to sing or scales you wanted to do, this is the time to get on with it. You should be feeling a lot better by now and your tone ought to be nice and even. You will have opened up. If you want to get your vocal training done over the phone in 20 minutes, here’s what to expect and what you need to do to get with the program. 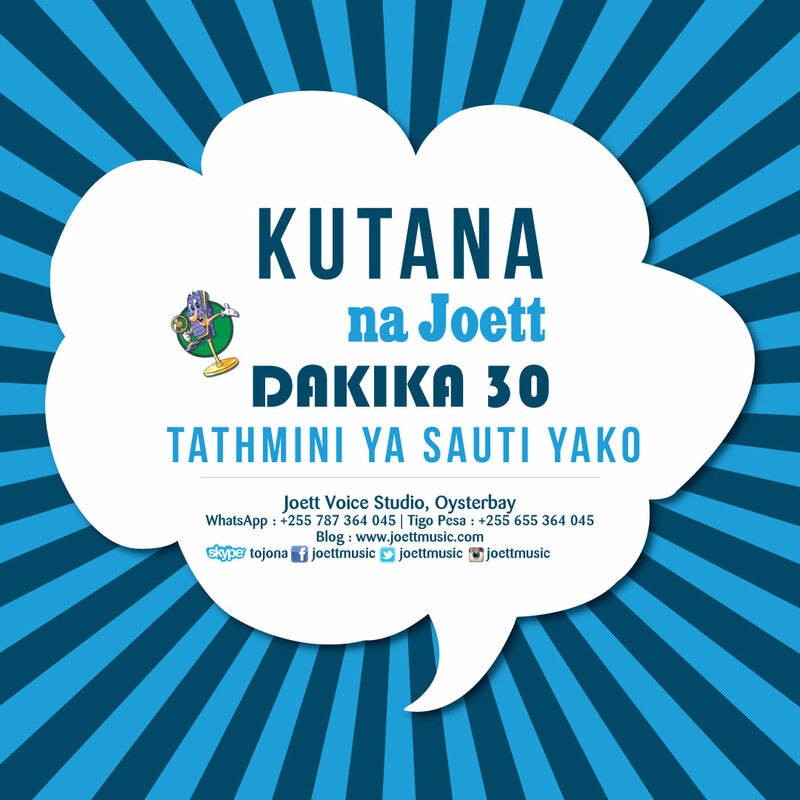 Please note that this is specifically set-up for callers within Tanzania on a local call. If your geographical location is outside Tanzania, then you’ll need to hook up with me on Skype. 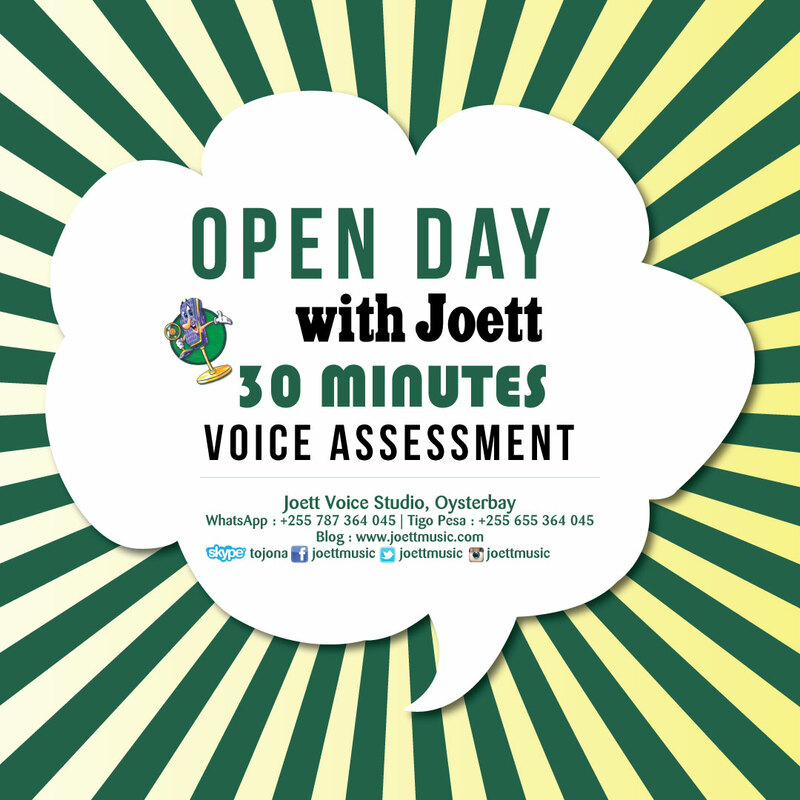 For more information on lessons via Skype, please read my article on this topic here! 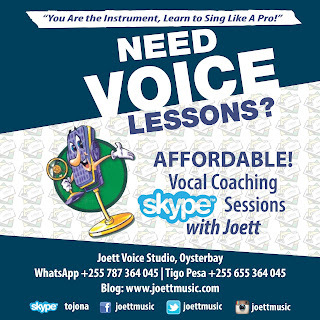 If this is your first time, then you’ll need to book and pay for the session in advance (TZS 12,000 via Tigo Pesa. Number is on poster). Once I have confirmed your booking, I will send you the relevant training files and instruction via email. Before you come on the call make sure you have speakers connected to laptop, CD player; or if you want to use a phone to playback the scales, it’ll have to be on a separate phone—not the one you’re using to call me. You will sing into your phone, but I’ll also want to hear the piano in the background, hence the above is essential to make this work. In segments where I will play the piano 'live' my end, you will need to have YOUR phone connected to speakers (please don’t use your earphones), so you can hear the piano externally to enable you to work with me in key. When you’re vocal training from home, with the help of written text and prerecorded messages and exercises, you are basically long-distance-learning your way to a better singing voice. However, that being said, because you’ll have no supervision by a professional vocal coach, it is imperative that you follow instruction to the letter. This article aims to give you a better perspective on how to get yourself adequately organized to learn from home. The reason I want to bring up this topic today is because I have noticed, sadly, that some online learners simply want to get on with it and don’t bother to read nor listen to prerecorded instruction; in the case of the latter—with my online training modules—it’s the first thing you hear before you even begin the exercises. So imagine hearing recorded instruction every single time you run the tape to train, and not paying any attention whatsoever to what’s being advised on tape. Well, it does have its detrimental consequences—which would include damaging the very instrument you’re training: your voice! Here’s what I would recommend you do: Listen to instruction on tape and read up whatever information is thrown at you. I know it has become somewhat of a video generation of sorts nowadays, but when you settle down to read written text and listen to audio instruction on the vocal training product you’re working with, you will discover soon enough that it is exactly what you need to get ahead as a singer. Remember, you don’t have a tutor in session with you. You are relying entirely on written and prerecorded information. So, take a deep breath, and settle yourself down to get to know what is required of you as a pupil. You’ll save a lot of time and guesswork in the long run. 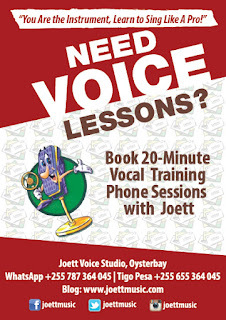 In the case of my downloadable Joett Vocal Drills available on Mkito.com, on every tape from Volume 1 to 4, I point you to my blog to fetch more information on how to train efficiently. It will help shorten your learning curve.